Back in 2001 Angelina Jolie made headlines for two reasons — she was filming Tomb Raider, the most popular game of its time in Cambodia, and she went on to adopt a Cambodian child because she felt spiritually connected to the place. It turns out the latter wasn’t just a PR exercise because her new film First They Killed My Father is a strong, emotionally resonant piece of filmmaking that chronicles the horrors of modern warfare in a neutral country and turmoil Cambodia was unfairly subjected to. The film pulls no punches in criticising America — it opens with (the slightly clichéd) ‘Sympathy for the devil’ juxtaposed to footage of a Richard Nixon interview where he is promising the world that the US is going to make Cambodia a better place. We quickly know that this was just an excuse for the US to drop bombs in the country and subject it to unprecedented chaos, destruction and death. We follow the immediate aftermath of this operation through the eyes of a little girl named Loung Ung who assumes that the US soldiers have finally left and her country is at peace again — only to end up in a much bigger nightmare. Her family is taken by the dreaded Khmer Rouge militia and she is forced to undergo training as a child soldier. The film is based on Ung’s memoir of the same name, and because Jolie befriended Ung back in 2002 we get fairly nuanced depictions of the hell that the protagonist goes through. Unlike in Jolie’s previous directorial ventures, this film makes the effort to follow characters that don’t need to be in contrived scenarios to create an absorbing narrative. Ung’s journey is a silent march through human rights violations and Jolie’s depiction of the events is almost like a ballet in melancholy. Every time a hopeful moment arrives it feels like a ray of hope in an otherwise assault of utter doom. 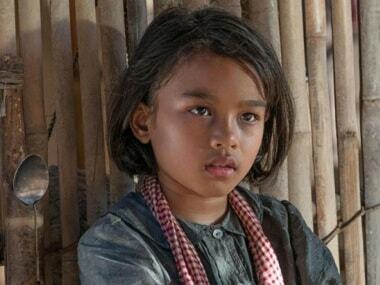 Jolie’s biggest success is extracting a tremendous performance from the child actors, particularly Sareum Srey Moch as Ung. The camera stays on her face for long periods of time, reflecting a thousand stories. Her child-like perspective of a whole generation being either wiped out of being degraded to animalistic slavery is an interesting point of view, not often seen in war films. There are quite a few disturbing moments where the children are berated and even beaten — it’s not just a production accomplishment, but also more importantly it never feels manipulative. If anything the film restricts itself from showing the full scale of the atrocities that would have occurred. The immediate comparisons to be made are with Cary Fukunaga’s Beasts of No Nation — which follows a similar story line set in Africa but is a superior film in every way. Jolie seems to lack the artistry to extract emotions from the audience without dressing up the scene. The cinematography and make up, for instance, is way too clean for the kind of gritty settings showcased in the film. Perhaps the reasoning is that Jolie wants to portray Ung’s journey as a nightmare in a garden of paradise, but she doesn’t quite succeed. Terrence Malick’s The Thin Red Line, for instance followed a similar theme of hell in a beautiful paradise, but still rendered the ugliness of the situation with far more expertise. You don’t get to learn much about the geopolitical problem in contemporary Cambodia and how anyone can solve it, but First They Killed My Father is a moody, atmospheric story of a real survivor rather than a historical one. It’s another jewel in Netflix’s increasingly impressive catalogue of original programming. 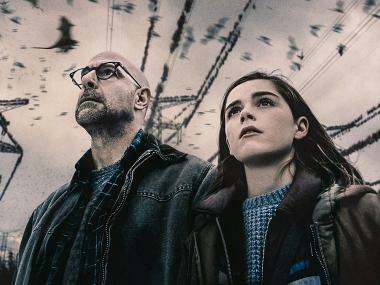 It’s hard to imagine this film doing well had it received a theatrical release so to find itself in the streaming giant as a home bodes well for the future of the platform and also films like these.